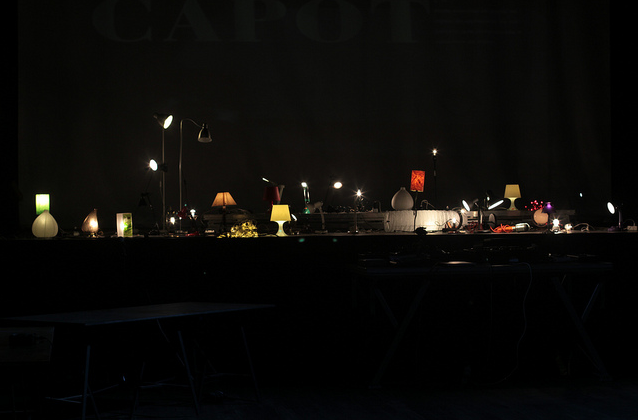 HAJA LUZ is a diabolical machine that has being built to control and manipulate dozens of home lamps in stage. 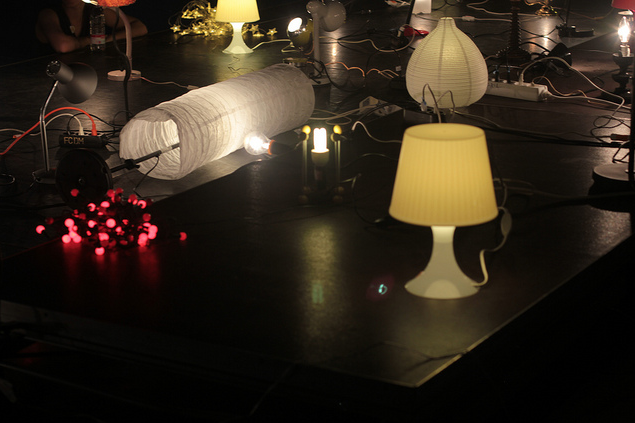 “HAJA LUZ” consists of a D.I.Y. electronic circuit composed by 10 relays that controls 10 different groups of lamps. 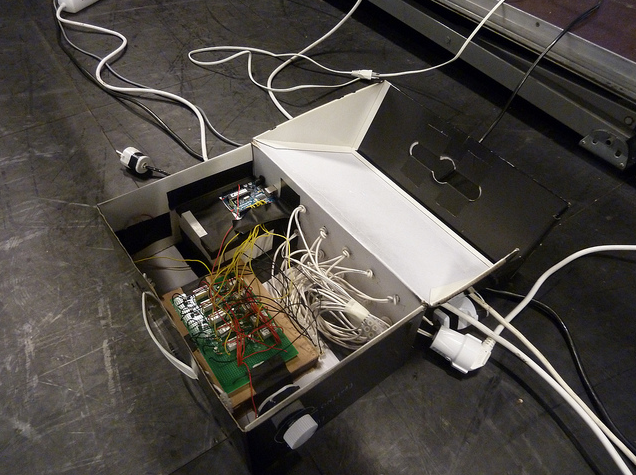 This electronic circuit is controlled in realtime through an Arduino Board and a custom software (made in Processing). 1. As a sequencer. Through a graphical interface it’s possible to create and manipulate sequences of on/off lights animations. 2. As an audio reactor. 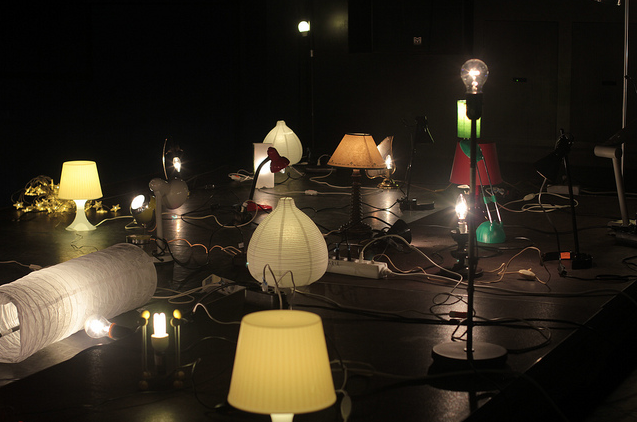 Through the analysis of the Audio Spectrum the system autonomously reacts to the sound and turn on or off the lamps. 3. As a light organ. Through a Midi keyboard the interpreter is able to manually “play” light.